I had never heard of ‘Coaches Across Continents (CAC)’ until last week when my friend (Bationo) invited me to take part in a 5 day Coaching Clinic by CAC. So, I looked up on the internet and a quick glance at their website raised my curiosity. As a football player I’ve had the opportunity to work with different coaches at training grounds and listen to all kinds of tactical instructions, and motivational speeches on the sidelines as well as in the dressing rooms. I’m always fascinated at how these coaches create their programs and plans that keep players physically and mentally fit to perform at the highest level. So, my view of football has always been on the professional level. I’ve never looked at football as an important tool to drive a social impact movement. First, I was happy and motivated to work and learn from people who are genuinely happy in what they do and are committed to helping others especially young people. From Emily’s enthusiasm and excitement, and Tejas’ creativity, the atmosphere was positive and there was never a dull moment. I witnessed the essence of using football as a tool to develop coaches and kids to become critical thinkers. I was impressed at how each of these football drills and games presented us with several options to tackle social challenges like drugs, alcohol, smoking, sexual molestation or harassment, bullying etc. Information about health related problems like malnutrition and diseases (e.g HIV/AIDS) can be passed and made accessible to children and communities using sport. The games not only revealed social problems and their causes but they also proffered solutions as well as preventive measures. At the end, It was the most rewarding experience I have ever had, and I realized that empowering people with knowledge and skills is the key to driving social impact, and we can comfortably inculcate this message through sports. I’m grateful to CAC, especially the coaches Emily Kruger and Tejas, for their positive energy, time and patience throughout the program. I’m very keen to use this experience as a guide to creating social impact anywhere I go. September 20th 2017. 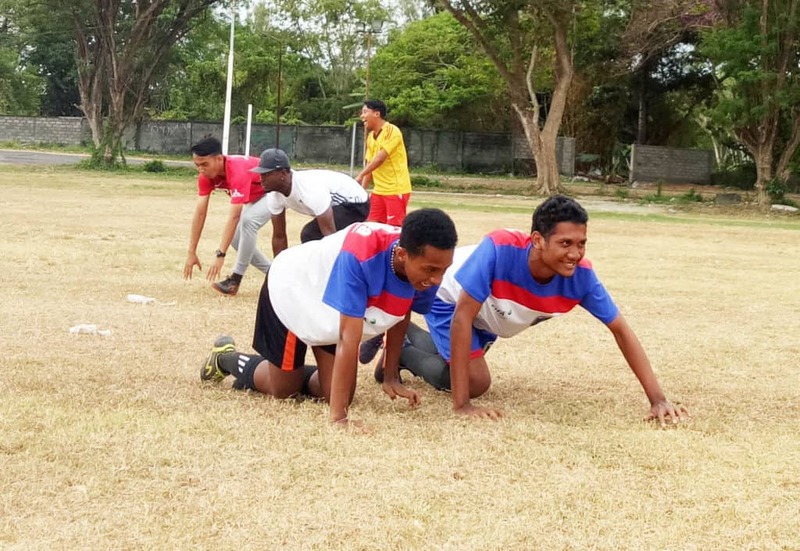 CAC program participant and coach JohnPaul McTheophilus wrote about experiencing CAC for the first time in Bali, Indonesia with Uni Papua.